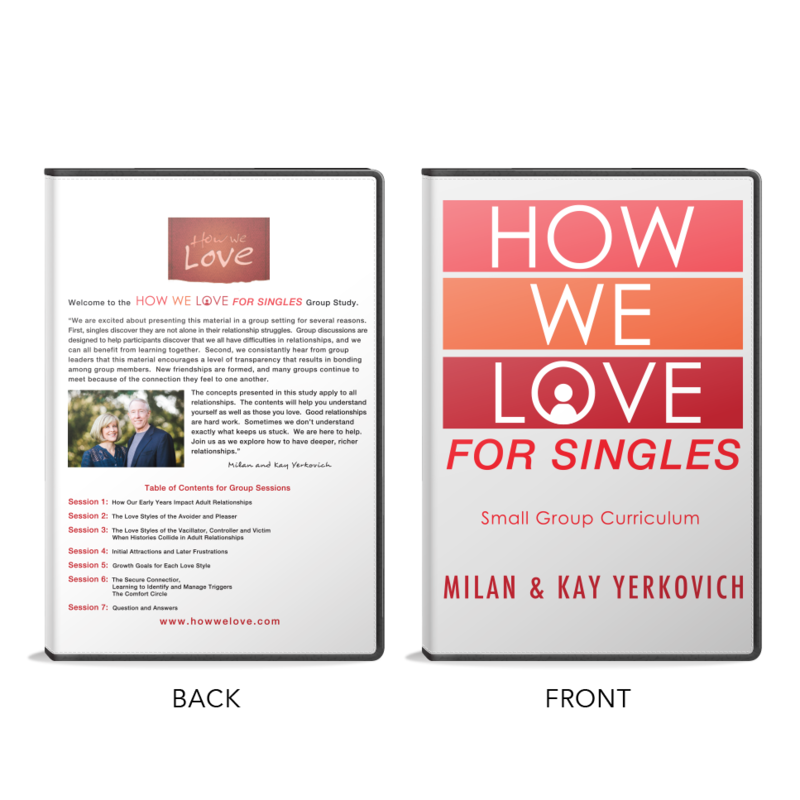 Starting a group study for singles? 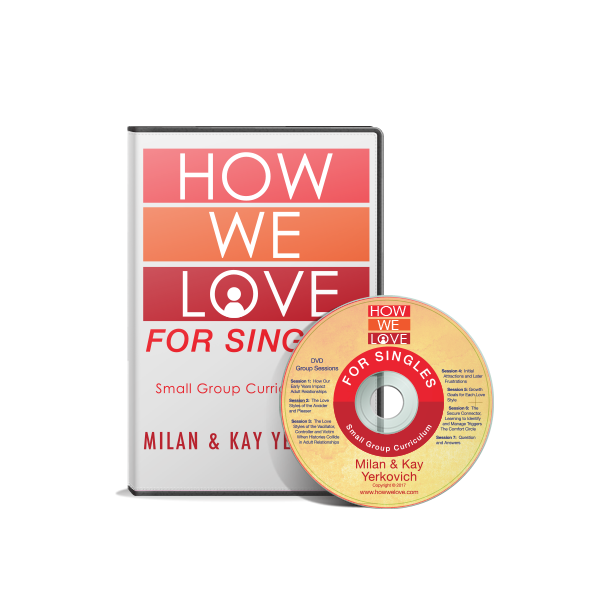 You will need a Singles Group Leadership Kit for the leader and each person in the group will need a Singles Group Member Kit. 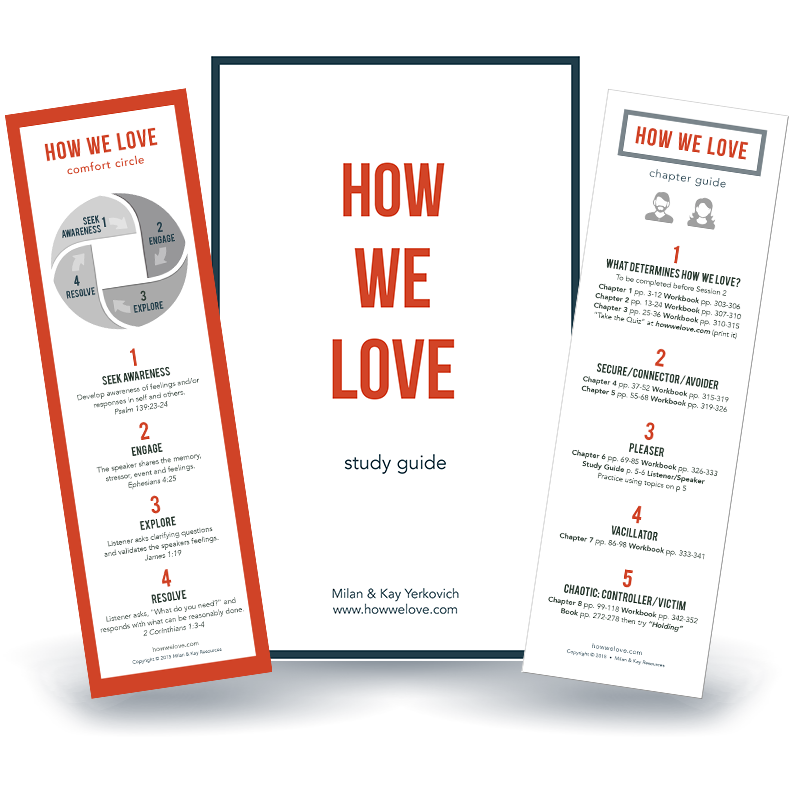 Each Group Member will need this Kit which contains a 31 page Participant Syllabus Study Guide and Comfort Circle bookmark. Allow two weeks for ordering and shipping. This exciting curriculum is a new, in-depth, group-oriented study. Each meeting includes DVD footage, discussion and skill building. 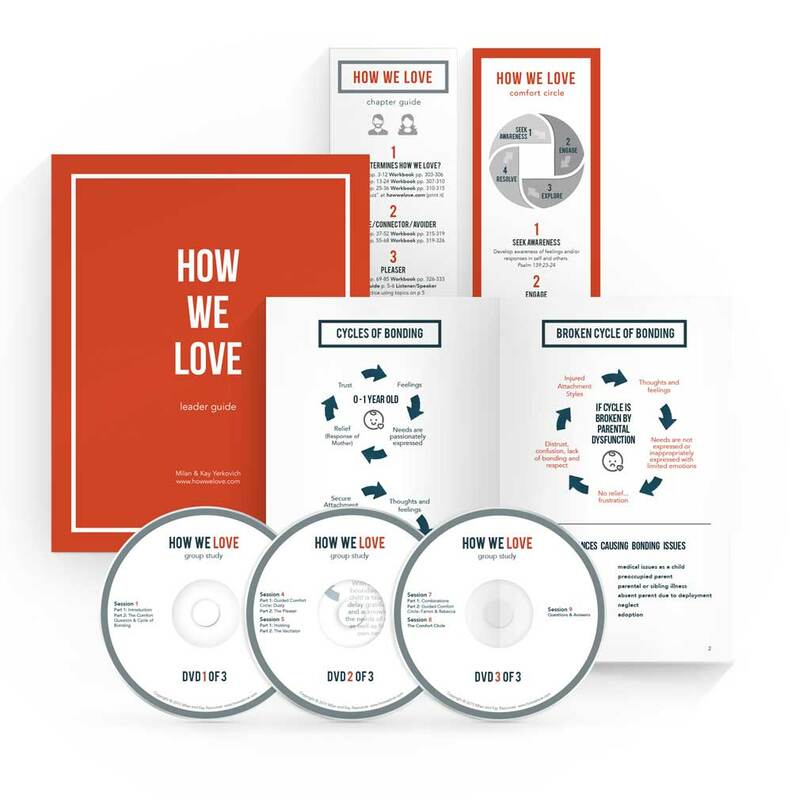 We have retained much of the original How We Love DVD six-hour workshop, but this curriculum adds one hour of additional video and emphasizes the comfort circle right from week one.